Apple pay is the mobile payment service for apple devices that contain an NFC controller. This pay service can be used by iPhone 6 and 6 Plus, iPad Air 2, and the iPad mini 3 and 4 users. iPhone 5, iPhone 5c, and iPhone 5s can also use this service, if they are paired with Apple Watch. 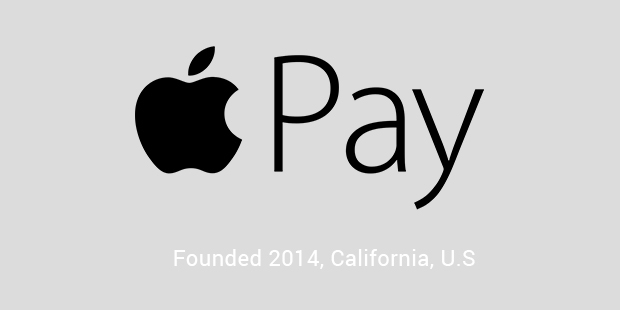 Apple pay also works on Visa's PayWave, MasterCard's PayPass, and American Express's ExpressPay terminals. 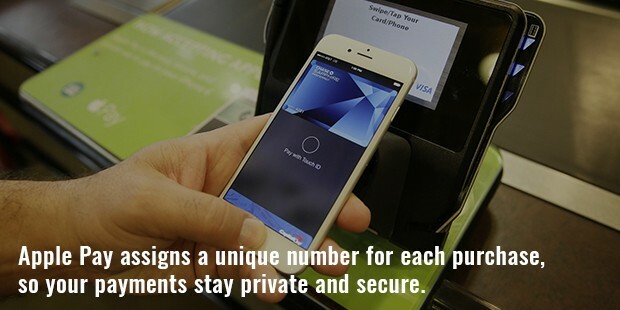 Apple in collaboration with American Express, Mastercard and Visa began working on Apple pay in January 2013. Apple pay was announced on September 9, 2014 by Apple CEO Tim Cook. More than 1 million credit cards wer registered in the first 3 days of its availability. Pay pal was initially supported in United States and began its services in UK from July 2015. Its services are expected to spread to china and Canada. Apple pay digitizes and replaces the credit or debit card chip and PIN or magnetic stripe transaction at point-of-sale terminals. 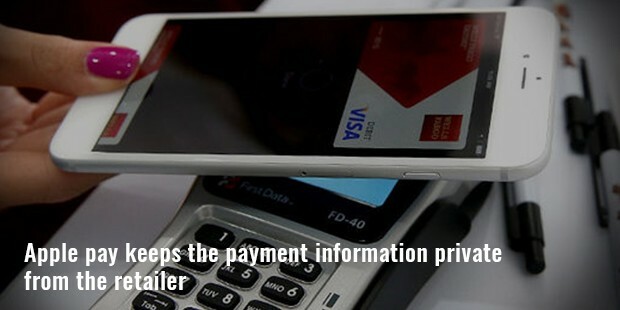 Apple pay keeps the payment information private from the retailer and a dynamic security code is generated for each transaction. iPhone users can authenticate by holding their fingerprint to the Touch ID sensor of the phone and Apple watch users authenticate by double clicking a button on the device. To pay in iOS supported apps, Apple pay can be selected for payment and authenticated with Touch ID. Payment cards can be added to through iTunes accounts, taking a photo of the card or by entering the information of the card. The Merchant Customer Exchange (MCX) which uses the system CurrentC is the present competitor for apple pay. PayPal, Wal-Mart, Target, Google Wallet, and Softcard also provide the same service but are not much of a competition to Apple pay.